A talk by local historian Andrew Pattison on the industrial history of Coleham followed by a tour of Coleham Pumping Station. Our short AGM will be followed by a tour of the Taylor Library, school archive and chapel. 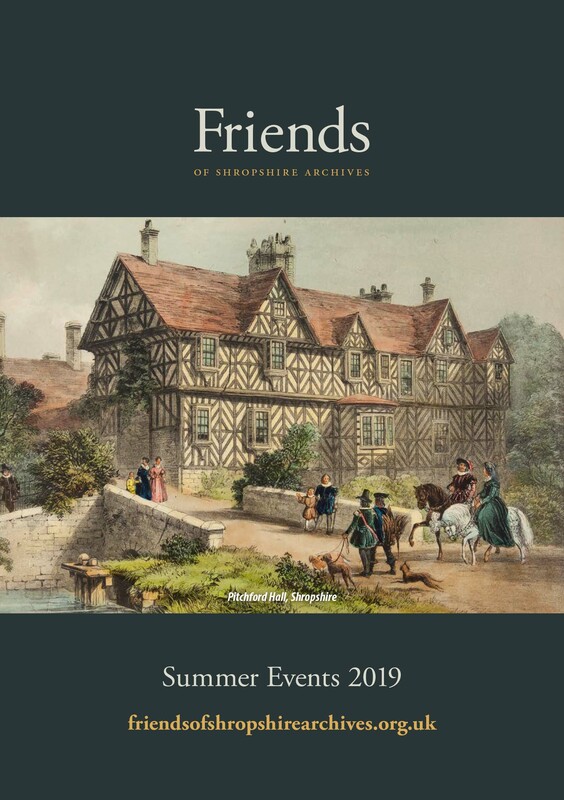 Described as Britain’s finest half-timbered house, Pitchford Hall was owned by the Colthurst family for more than 500 years before being sold in 1992. Now on the ‘at Risk’ register, the house has been bought back by Rowena Colthurst and her husband, who are embarking on the massive task of saving it, following 25 years of neglect. The house is named after a natural pitch well in the grounds. Prince Rupert hid from the Roundheads in the priest-hole here during the Civil War and Princess (later Queen) Victoria played in the Tudor-style treehouse. The tour involves considerable walking and stairs. A guided tour of Chillington Hall and gardens with a tractor ride to the lake. The Hall has been the home of the Giffard family for over 800 years; the present Georgian house is the third to have occupied the site. The landscape park and lake to the south of the house were designed by Lancelot ‘Capability’ Brown during the 1760’s for Thomas Giffard the elder, and there is a Grecian temple in the grounds.